Big News from the Millers!!! Hello friends, today is a very special day! I am so excited to finally be sharing the wonderful news that in mid-August 2012, Ike and I will be expanding our family by ONE! I am currently 12 weeks along which means the end of the first trimester is in sight! Hip hip hooray! As far as morning sickness goes, I have been more fortunate than a lot of women but that hasn’t stopped me from being a big wimp about the nausea and fatigue! For those of you who are interested, this baby was not a surprise. I know some of you are curious because Ike and I have been practicing Natural Family Planning throughout the entire course of our marriage, and we still love it! In fact, it helped us to get pregnant very quickly, which was an added benefit. Some of you might also be curious about what this means for my PhD. For the last year I really agonized over honoring my calling to be a student but wanting to start a family, and after much prayer and conversation Ike and I decided to take the plunge. I know it will be challenging to manage school and family (again, your prayers are SO welcome!) but I am blessed to have the full support of my husband and my parents (let’s be honest, my mom doesn’t need an excuse to fly up here and dote on her grandchild!). It’s going to be an adventure, but I have a feeling I will come to value my family even more than I already do as we walk through these next few years together. Finally, I am so thrilled to be sharing this news because God has been teaching me SO much through this pregnancy. 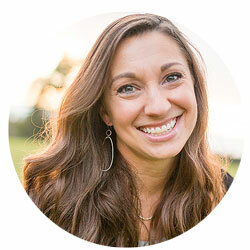 We learned I was pregnant a couple weeks before Christmas, so I had an entirely new perspective on Mary and her pregnancy as I prepared my heart for the season. I have also been reflecting a lot on what it means to lay yourself down to bring new life into the world, which has given me a new understanding of Jesus’ sacrifice for us. But those are topics for another day. Just know that I will be writing more pregnancy inspired blogs in the months to come! Congratulations, Sharon (and Ike)! I hope everything continues to go well. And I look forward to reading more about what God teaches you through motherhood. Congratulations Sharon and Ike! I’m glad to hear that NFP worked well for you in both its functions. YESSSSSSS!!!!!! Soooo excited for you guys! Congrats, Sharon! So much fun coming your way. I, too, did not suffer through pregnancy & I’ll pray that continues for you. Many blessings to you and Ike! Ohhhhh! This is so exciting! Congratulations! You and Ike are in for some of the most wonderful blessings and heart wrenching challenges ever! Being a mother of 3 (now adult) children has been a precious, spiritually transformational experience, and continues to be so to this day. I look forward to reading about your journey Sharon! Woo-hoo! Yay for you and Ike and Baby Miller! Parenting’s an adventure like none other so get ready for a wild ride. Plus, you’re entering the Golden Trimester: bonus! Excited for you! (Also fun to find other evangelical women who use NFP!) 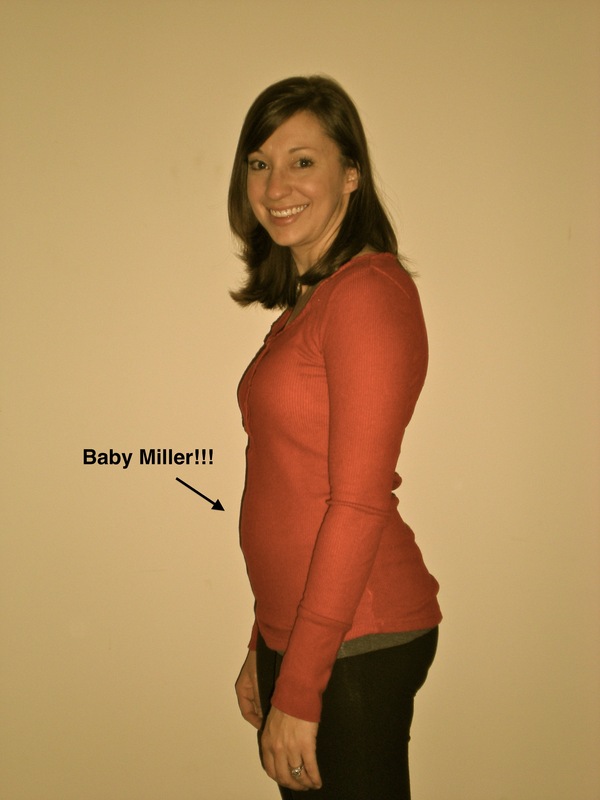 Blessings on your pregnancy and prayers for you and for the safe arrival of Baby Miller! Oh yay! So thrilled for you guys! You’re about 2 weeks ahead of me, and I am also waiting, waiting, waiting, for the 1st trimester to be in the past. Is it not a wee bit difficult to do schoolwork when the words on the page keep moving? 🙂 I’m due 8/29, but I’m guessing, as is the norm, that I’ll go into September. An August (pre-semester) baby would be ideal, but I know how unlikely that is. Best wishes for your health and for little Miller’s health! Congrats! Motherhood is a great adventure, and I know you’ll be a great mom! SO happy for you guys!!! Sad that I didn ‘t get to celebrate in person with y’all at the Yardhouse. How exciting for you. Congratulations to the both of you! I will be praying for you and the new baby! Soooooooooo excited for you guys and keeping you and “baby Miller” in my prayers!!! Congrats Sharon! Being a mom is one of the most incredible roles to play. So excited for you and Ike! As the father of a wonderful if sometimes perplexing 16 year-old son, I can tell you it is an awesome ride. Praying for your continued health and endurance.